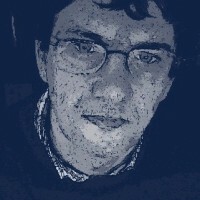 About me: Elgg developer. I made a special Pirat theme and a basic divelog module to log scuba dives and share them with friends. Contact me if you need them. Too shy to share everything publicly! I've got to sort out a few compatibility issues on my end but nice job. Would it be possible to put a setting in there so the user can select their own theme? Great job! There is. Have a look at the Read Me, section Infinite Styles. Just head to bootswatchr.com, make your own style, save it, upload it in the folder I mention, and in the site's settings, select Bootswatchr as the bootswatch theme. You should see your very own style. I enclosed one I made just like that, it's pinkish, dark red, and curly fonts such as Pacifico. I also detail how you have to make sure your fonts get loaded.